Pearson APIs is sponsoring the Foursquare Hackathon this coming weekend in New York and San Francisco, find details here. 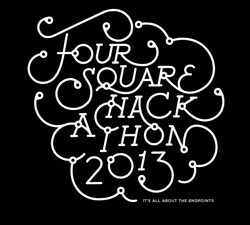 The Foursquare Hackathon is back! On January 5th, developers and designers in NYC, SF, and everywhere around the world will come together to build some amazing hacks using the Foursquare API. We’ll have prizes, swag, and (naturally) global glory for the best Foursquare hacks, no matter where in the world they originate. Head over to our Meetup page and keep an eye on the blog for more details as the event draws nearer. Foursquare is hosting hackers at their HQ in NYC and SF, so make sure you sign up for a spot! If you’re elsewhere, use the Meetup to connect with other hackers in your area. This is a great opportunity for attendees to meet other developers and designers and mashup APIs to create location based apps. Be sure to check out Pearson APIs to get a head start and or stop by and say hello to Anthony in NYC and Gregg in SF.